Though a hung Parliament may not bode well for Britain, Israeli start-ups stand to benefit. 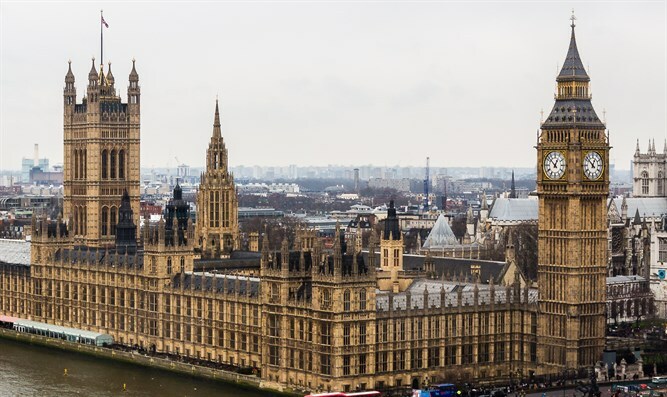 Whilst many Britons have been left dissatisfied by the outcome of a hung Parliament, this could be encouraging news for Israeli start-ups currently located in the UK or looking to launch their business there. The UK is a popular destination for Israeli start-ups given the time difference, close proximity and strong consumer market. The list of successful tech companies in the UK with either Israeli offices or roots includes eToro, Wix, Kaltura, Outbrain and SimilarWeb. Whilst a hung Parliament breeds a lot of economic uncertainty, Israeli start-ups could capitalize on low barriers to entry and an opportunity to exploit growing markets in consumer finance and tech. On the day of the election result, the BBC reports that the pound dropped against the dollar to currently $1.27 (down by 2%) and down against the Euro to 1.1350 (1.7%). With the pound continuing to fall and currently at 4.50 to the shekel, this could present lower start-up costs for new Israeli businesses – including visas, office space, technology, licenses and more. Above all, it means that any profits are now worth more to Israeli entrepreneurs and businesses than before – increasing the popularity of the UK as a start-up destination. EU officials have advised that there will be a delay in Brexit negotiations as the UK takes time to organize its Parliament. Whether the UK’s Brexit deal can eventually bring about positive ramifications is unseen. However, any delay or the decision to take a softer Brexit will reduce any economic uncertainty short-term and provide more clout for any budding entrepreneurs and their investors looking to do business in the UK. Money transfer – With a weakened pound, the demand for price comparisons and getting the best deal on money transfers becomes increasingly important. This includes on a corporate level, holiday makers, business travelers and those sending money abroad to family and friends, where over $583 billion is sent worldwide each year. Savings – The Express reports that the hung Parliament is the worst outcome possible for pensioners and the retired. A new Government could prompt another budget for Britain, meaning it could be months before policies on retirement and pensions become clear. This presents further opportunities for start-ups offering alternative savings, finances and investments. The peer-to-peer market is already worth around £7 billion in the UK and this could appeal to the Israeli flair for Fintech, which also incorporates peer-to-peer business lending, property investing, crowdfunding and guarantor loans. Cyber security – Already the leading country for cyber security in the world, the demand for Israeli intelligence will continue – especially given the recent cyber and ransomware attacks in the UK. Insurance – With some experts claiming that the UK’s insurance industry is expected to suffer during Brexit, the delayed negotiations and softer approach may increase business confidence, at least for the time being. This poses continued or new opportunities for Israeli tech in terms of R&D and technical support.